Even the biggest hamburger fans would probably concede that it isn't the kind of food you should eat on a daily basis – but The 3rd Burger might beg to differ. 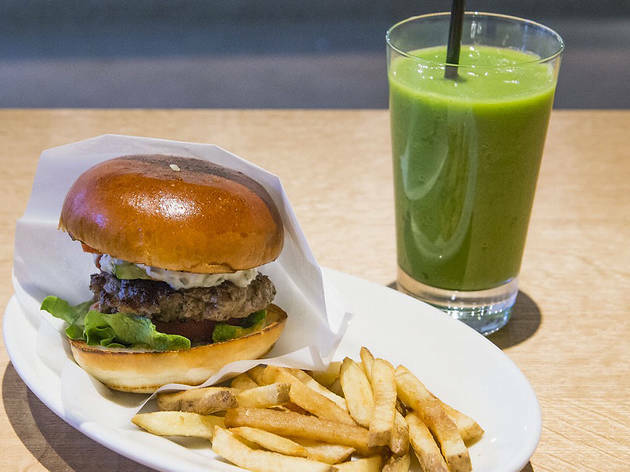 This Omotesando restaurant claims to offer that rarest of culinary species: a burger that you can eat every day without turning into Morgan Spurlock. The patties are minced from fresh meat (no freezing allowed), the buns are free from additives and preservatives, and each burger comes laden with organic veg, including unorthodox toppings like avocado and wasabi. 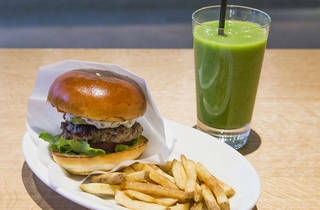 Try the eponymous 3rd Burger (¥594), topped with marinated vegetables and housemade tartare and tomato sauces, washed down with a 3rd Smoothie (¥530), made from mustard spinach, banana and apple. Unlike some other gourmet burger joints around town, there are also a few vegetarian options, and it's worth hanging around for a cup of joe after you've finished eating – the beans were chosen by renowned 'coffee hunter' Yoshiaki Kawashima.